to offer prayerful support to the Catholic Bishops of Canada. Our Bishops are living in what could be considered the hardest time to be a Bishop since the Roman Persecution. Therefore, since sacrifce and prayer is the best gift we can give our Bishops, we must offer this for their sake, as they in particular have been given the task to save souls. You do not have to be a Canadian to be involved, but you do have to be willing to pray for your selected Bishop. 1. EMAIL US AT TEAMORTHODOXY@GMAIL.COM WITH YOUR NAME AND EMAIL ADDRESS. 2. A CANADIAN CATHOLIC BISHOP(AS WE ARE LOCATED IN CANADA) WILL BE CHOSEN AT RANDOM AND SENT TO YOU VIA EMAIL. 3. FROM HERE YOUR MAIN PRIORITY IS TO PRAY AND OFFER SACRIFICES FOR THIS BISHOP. THIS IS OPEN TO WHATEVER YOU WISH TO DO. YOU COULD SAY A SIMPLE PRAYER EVERY DAY TO HAVE MASSES SAID FOR HIM. IT IS UP TO YOU IN TERMS OF HOW LITTLE OR HOW MUCH YOU WILL DO FOR HIM. YOU MAY ALSO WISH TO SEND HIM A LETTER OF ENCOURAGEMENT*. 4. WE WILL THEN SHOW WHICH BISHOP IS BEING PRAYED FOR ON THE ADOPT-A-BISHOP PAGE IN THE PRAYER SECTION OF THE WEBSITE. – *DO NOT SHARE WITH YOUR CHOSEN BISHOP THAT YOU’RE PARTICIPATING IN THIS CAMPAIGN. THIS IS A SECRET ONLY TO BE REVEALED TO HIM IN ETERNITY. – ENCOURAGE YOUR FRIENDS AND FAMILY TO GET INVOLVED. – YOU CANNOT SIGN ANYONE ELSE UP EXCEPT FOR YOURSELF. 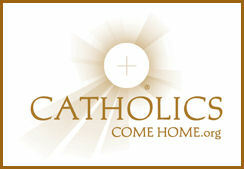 PLEASE CLICK ON THE FOLLOWING LINK TO SEE A LIST OF OUR ADOPTED BISHOPS.